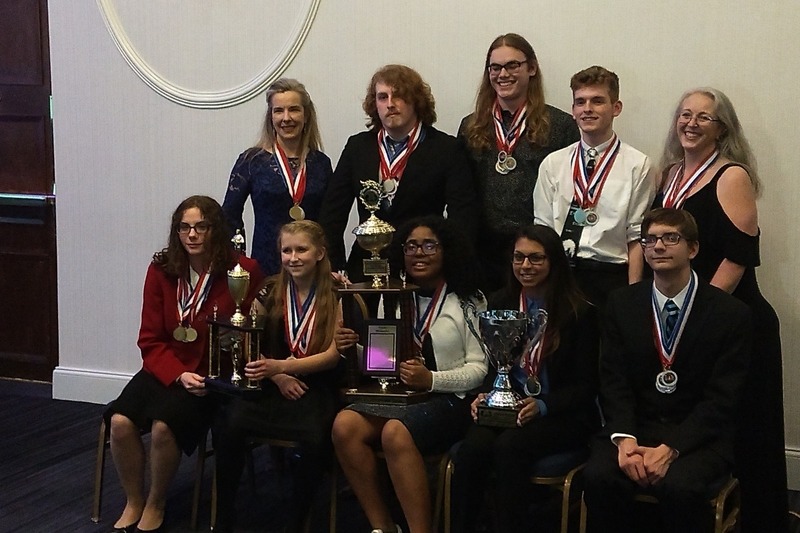 Fundraiser by Jessica Chandler : 2019 Academic Decathlon -- Nationals Bound! 2019 Academic Decathlon -- Nationals Bound! Academic Decathlon is a nation-wide competition that involves acquiring knowledge of a specific area of study each year. Students compete in mathematics and economics; language and literature, science, and social science, which are centered around each year’s theme; and three subjective events: prepared speech, impromptu speech, and essay. This year’s theme is “The 1960’s: A transformational Generation,” and the science focus is on lasers. The rules of Academic Decathlon require that these students are not all A+ students. Students are divided equally into three categories: Honors division students have A averages, Scholastic division students have B averages, and Varsity students have C averages or below. LFO’s Decathlon team is a diverse group individually, which makes the road to success for them even more difficult. They participate, learn, and earn success despite many other extracurricular activities, part-time jobs, and economic and family hardships. One decathlete lost her mother tragically in February and now lives with a grandparent; one is emancipated and does not live with family or parents; three are victims of domestic and/or drug abuse; four work part-time jobs in order to help their parents make ends meet at home. In addition to their all-too-adult responsibilities, two play in the Jazz band and marching band, one is active in the LFO Winterguard, one is a State Champion in the DECA Club, one is a student coach of LFO’s football team, two volunteer through the National Honor Society, four have been finalists for the Georgia Governor’s Honors program, and all study their Decathlon materials on their own time after school and on weekends. These students have proven time and again that they have the drive to overcome hardships and be successful. They are leaders on the field, in the gym, in the classroom, and in the school community. Their passion for learning and team-work has allowed them to find a family with each other, and the work ethic they have cultivated will follow them throughout their lives, through college and career, and will eventually be invested in this community. These are the kinds of young people who grow into community leaders who make a positive difference in people’s lives. This talented group of students desperately needs and truly deserves financial support from their community. Without donors and fund-raising, these amazing students cannot hope to attend their national competition. Despite a number of fund-raising campaigns, the team is still short of its goals to pay for lodging and airfare to the competition in Minnesota. Your donations are much deserved and much appreciated.